Speak up now! Fighting fascism is not radical, it is necessary! Every year, to commemorate the “Kristallnacht” pogrom of 1938, UNITED coordinates the International Day Against Fascism and Antisemitism on 9 November. Fascism did not cease to exist after 8th May 1945. Today, racist, fascist and Neo-Nazi movements are on the rise all over Europe. Neo-Nazis hunt and assault migrants, Muslims, Jews, LGBTQ-activists and other minorities, using rallies as a cover-up for their hate crimes. It is fearful that the inhumane actions of the fascist regime(s) in the first half of the 20th century could be repeated. We MUST fight now for this to never happen again. Join our campaign, organise actions and speak up against fascism, racism, sexism and hate based on a religious belief! 9 November is now only four weeks away, so if you haven’t already started planning your Day Against Fascism activities, now is the time! Your activity doesn’t need to be a huge national event – it can also be a small local gathering. If you need some inspiration for your activity, you can always check the list of Best Practices on the Day Against Fascism website as well as other resources on how to organise activities on a budget, and how to organise last minute activities – check here. please send an email to us to 9november@unitedagainstracism.org and we will share it on our campaign Facebook and website. In this way you will contribute to the creation of a strong and diverse European-wide message against fascism, and hate. LIKE! 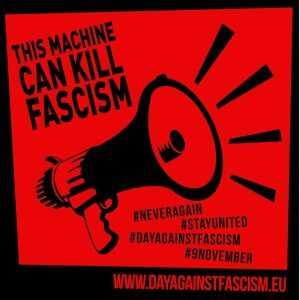 – facebook.com/UNITEDDayAgainstFascism and follow the campaign. The campaign is coordinated by ‘UNITED for Intercultural Action’ – the pan-European network against nationalism, racism, fascism and in support of migrants and refugees. Within the UNITED network more than 550 organisations from a wide variety of backgrounds, from 46 European countries, work together in common activities and projects. Join this campaign on Facebook! 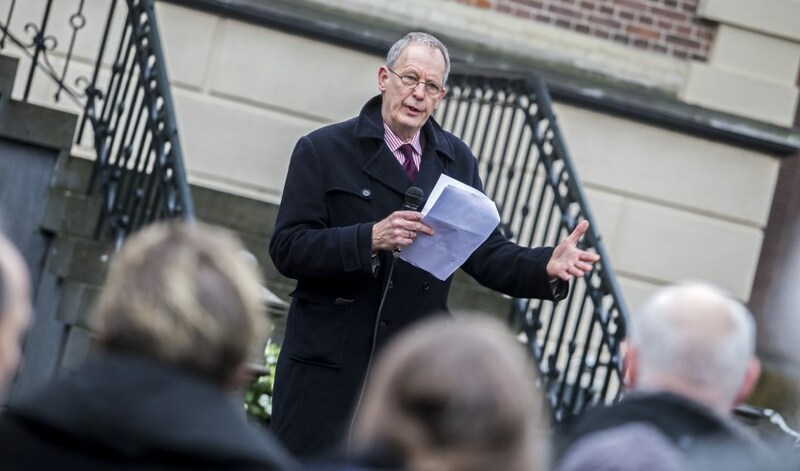 This campaign has been made possible with support of the Council of Europe (European Youth Foundation) and the Erasmus+ Programme of the European Union. UNITED E-NEWS is an irregular email service to over 12.000 organisations and contact persons active in the working fields: anti-racism, refugee support, anti-fascism, migration, minority issues, intercultural youth work, against antisemitism, against nationalism etc. You have received this E-news because your organisation or institution is listed in the UNITED online database and/or Addressbook Against Racism; you have attended a UNITED event; have participated in a UNITED campaign; are a partner in the working fields above; and/or have expressed an interest in UNITED network’s issues. If you don’t want to receive E-news anymore, you can unsubscribe at this link. If you would like to subscribe with a different e-mail address, please fill out the form on the UNITED website.